MUNICH, November 16, 2017 – Accelerated adoption of the Elements Multiple Brain Mets SRS software resulted in over 1,000 patients treated today, with the number of institutions adopting the technology and patients per site doubling in just the past eight weeks. The treatment plans, generated by this automated software from Brainlab, eliminate bias induced by the treatment time. With past approaches, the time increased almost proportionally with the number of metastases, prompting many sites to revert to whole brain radiation for any patient with more than four metastases. Now all treatments can be executed within the time slot typically assigned for the treatment of a single brain metastasis. Elements Multiple Brain Mets SRS uses a dedicated algorithm to generate consistent, volumetrically optimized SRS plans in a matter of minutes. Utilizing a single isocenter, the treatment is delivered efficiently while sparing surrounding normal tissue. Both clinicians and patients benefit from reduced treatment times due to the possibility to treat multiple metastases at one time without repositioning the patient. “We use Brainlab planning software as it allows us to create highly conformal and consistent treatment plans for multiple brain metastases in less than 20 minutes for cases that used to take us half a day or longer”, commented Manuel Todorovic, Head of Clinical Medical Physics at University Medical Center Hamburg-Eppendorf (UKE), Germany. 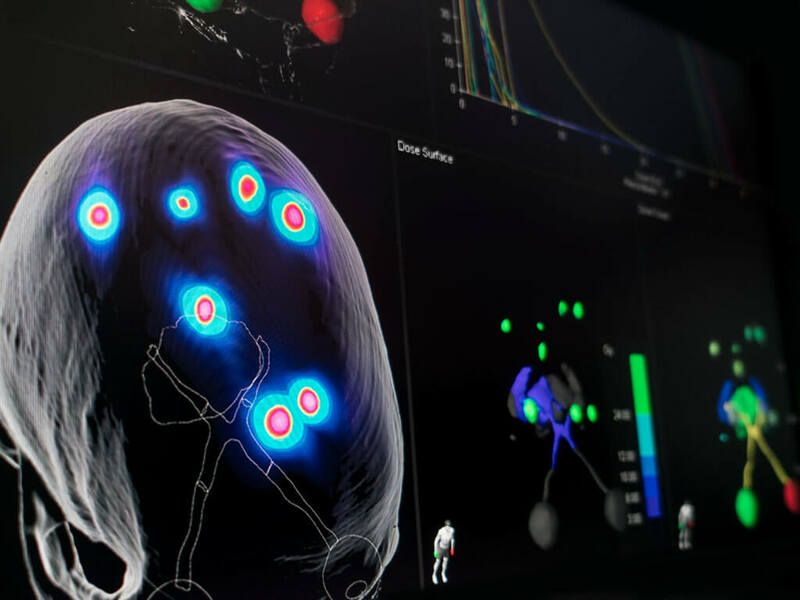 Elements planning software can be used in conjunction with other Brainlab technology to support clinicians in treatment delivery and decision-making. ExacTrac patient positioning and monitoring system ensures submillimetric precision during treatment while Elements Contrast Clearance Analysis utilizes a robust MRI method to provide additional insight into post-treatment tumor characteristics. To learn more about Elements Multiple Brain Mets SRS, visit brainlab.com/multimets.